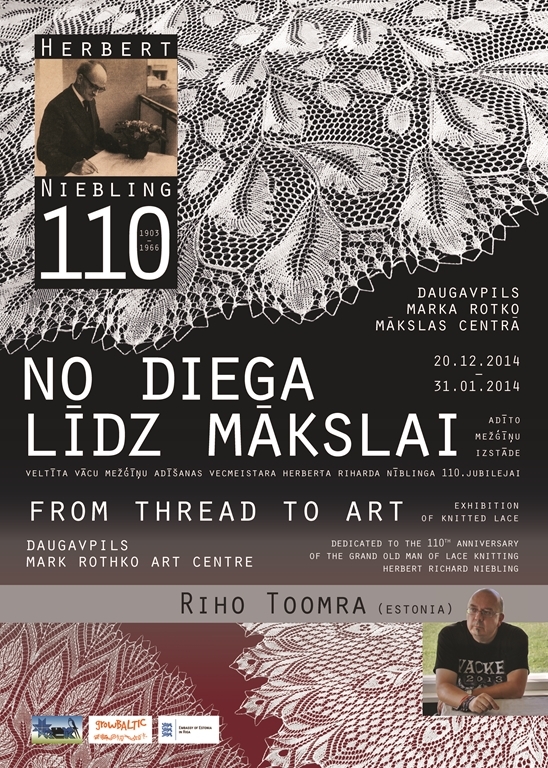 At the beginning of the last century German lace knitting was taking a new direction. Rather than repetitions of motifs based on Tyrolean and Bavarian folk traditions, fashion dictated more complicated patterns. This technique was further developed culminating in state-of-the-art creations by a man who was later known as the Great Master of Lace Herbert Richard Niebling (20.12.1903-15.05.1966). He learned to knit at an early age and devoted his whole life to this amazing technique, developing it and striving for perfection. magazines and hobby knitters started to copy the designs. After surviving WW II, he proceeded to create knitted patterns, finding inspiration from the form and structure of the flowers in his garden and also the unusual plants that he collected on his travels. The laces knitted by him are gone with the wind, but hundreds of his fantastic patterns with their filigrane beauty keep amazing people even today. 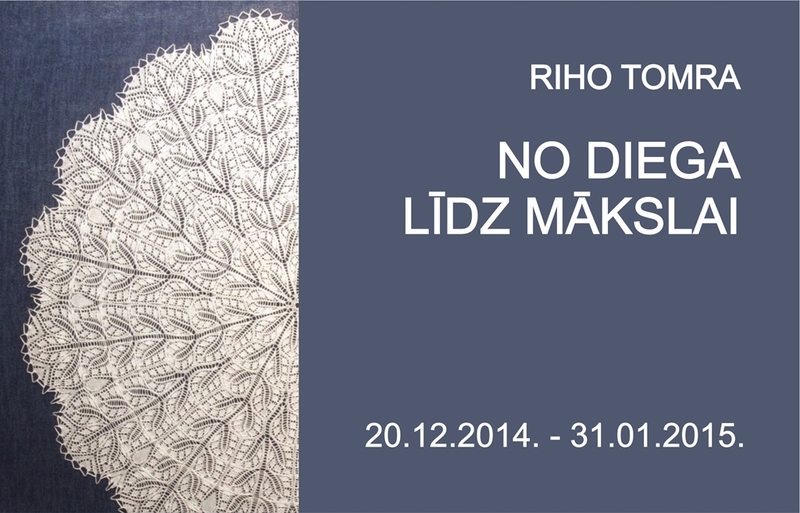 Exhibition of Estonian artist Riho Tomra in the Rothko Centre is dedicated to 111th anniversary of the Great Master. I was born on 13.11.1963 in Rakvere. My family moved to Tallinn when I was a baby, and here I finished the Tallinn 1st Secondary School (now Gustav Adolfi Gümnaasium) and studied for a couple of years at Tallinn Polytechnic Institute. Since the two years of military service in the Soviet Army had left a gap in my studies, I lost interest in these, and I became a coach driver. Since 1996 I’ve run my own company in the field of international transport. As long as I can remember I have always been attracted to music. I’ve been singing with several choirs in Estonia (Ellerhein, Tallinna Koolinoorte Segakoor, Mainori Kammerkoor, Estonia Seltsi Segakoor), and as a member of EuropaChorAcademy I have performed on different stages in Europe (e.g. Berliner Philharmonie, Die Glocke Bremen, Die Alte Oper Frankfurt, KKL Luzern Concert Hall, Philharmonie Luxembourg, etc.). I love hard-rock and heavy-metal. In 2000 I founded the Metal Travel Agency in order to take people interested in hard-rock festivals and gigs all over Europe. The rock clubs Hades and Tapper in Tallinn were founded upon my initiative. When I was a teenager, my granny taught me how to knit, and surprisingly for myself, my first experiments were rather successful. So since then knitting has always been something for me to kill boredom.